Now those are wonderful words, but how do we actually live them? We need to begin by realizing that we’re not being asked to do the impossible – only the uncomfortable and inconvenient. Benedict is asking us to examine our hearts and our habits of life without excuses or alibis. He’s asking us to tear down the cathedral we build to ourselves, the whole interior architecture of our vanities, our resentments and our endless appetites, and to channel all the restless fears and longings of modern life into a hunger for the Holy Spirit. If you think that sounds easy or pious, try it this week. In every generation, Christians yearn to get back to the “purity of the early Church,” and of course that seems like an admirable goal. But the Church has never been pristine. She’s never been without scandals and sinners, apostates and critics and persecutors. St. Paul was run out of town more than once; he was rejected by his brothers more than once; and when he writes his Epistle to the Ephesians, he’s writing from a jail cell. In reality, sin is part of the human terrain and a daily challenge to our discipleship. And if our hearts are cold, if our minds are closed, if our spirits are fat and acquisitive, curled up on a pile of our possessions, then the Church in this country will wither. It’s happened before in other times and places, and it can happen here. We can’t change the world by ourselves. And we can’t reinvent the Church. But we can help God change us. We can live our faith with zeal and conviction – and then God will take care of the rest. First, the Holy Father urges parishes and other church groups to study the Creed and the Catechism. The Creed is the definition of who we are. It’s a fundamental declaration of Catholic faith, identity and belonging. Third and finally, Benedict urges us study the history of our faith and see the way in which “holiness and sin” are so often woven together. Henri de Lubac, the great Jesuit theologian, once said that when the world insinuates itself into the heart of the Church, the Church becomes worse than the world — not just a caricature of the world, but the world in greater mediocrity and even greater ugliness. Real faith – the kind our Holy Father calls us to — demands a keen awareness of our failures as Christians and a spirit of repentance. It requires us to seek out who Jesus Christ really is, and what he asks from each of us as disciples. And that always involves the cross. Does that sound anything like the actual tone of Catholic life in our country today? Too often, probably not. Yet that’s the life of honesty, holiness, heroism and sacrifice that God asks from all of us as a Church and each of us as individual believers in the Year of Faith. Human beings make history, not the other way around. God made us to be happy with him; to be loved by him; and to bring others to know his love. That’s the glory of being alive. That’s the grandeur of being a disciple of Jesus Christ. The task of preaching and teaching, growing and living the Catholic faith in our time, in this country, belongs to you and me. No one else can do it. The future depends on God, but he builds it with the living stones we give him by the example of our lives. OH!!! boy, Does B16 want to “rip off the scab”, “open the can of worms”, what ever cliche you want to attribute to opening the catechism. I can almost assure you when the low information catholic zealot reads and interprets #162 “Where does the One Church of Christ subsist? And then is supported by the Creed “one holy catholic and apostolic church”. I’ll leave #162 as a teaser.In ref. to Henri de Lubac S.J. Perhaps the new Cardinal-designate Louis Antonio Tagle(Tagh-lay) is onto something, he called for the Church to be something better than “a triumphalistic, a know it all ” type of institution . That’s me all over. I’m going to work — again — on living the Faith. Every day it’s a new beginning for me. Thanks for these words, Your Grace. 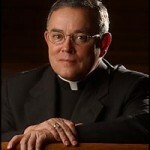 Archbishop Chaput, no truer words were ever spoken. 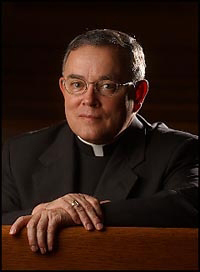 We have witnessed this dynamic being played out here in the Archdiocese of Philadelphia since September 2005, the date of the release of the First Grand Jury Investigation and Report into Clergy Sexual Abuse in the Archdiocese of Philadelphia conducted by the District Attorney of Philadelphia.